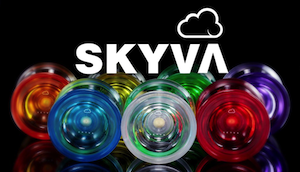 YoYoNews.com is the premier site for news about yoyos, skill toys, and related events. 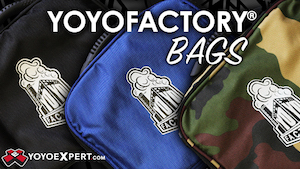 With exponential growth in the two months we’ve been online and unrivaled original content, YoYoNews.com has quickly become the go-to source for yoyo and skill toy news. We have advertising opportunities available for yoyo and other skill toy companies, as well as brands looking to tap in to our primary demographic of 14 – 25 year old males. Advertising opportunities include Sponsored Posts, Featured Posts, Banner Ads, and Active Promotions. Inserted directly into the editorial flow, the Sponsored Post lends our voice to your brand so it can directly ‘speak’ to the YoYoNews audience. Our in-house writing talents handle your post from idea to execution, infusing your brand message with our signature, conversational tone. It then files into the story flow and remains live on our sites indefinitely like all editorial posts. Featured Posts are an upgrade from Sponsored Posts, that also place your Sponsored Post in our Featured Slider, giving your Sponsored Post a major boost in visibility. Banner Ads are available in a variety of locations; sidebar, footer, and larger ads inserted directly into specific posts. Rates depend on the location and frequency of the ad, and we can build a program for you to suit any needs and budget. Active Promotions are the most effective of all our advertising opportunities. With full planning and execution assistance from our team, YoYoNews will help you run a full contest or promotion to directly benefit your brand and promote your new release or event. This can include a full site-wide takeover for a short period of time, giveaways, video contests, or more. There are no pre-built plans for this type of promotion, so be ready to work directly with our team to craft the best possible option for your brand. For pricing and availability on these advertising options, or to discuss unique requests, please email info@yoyonews.com.